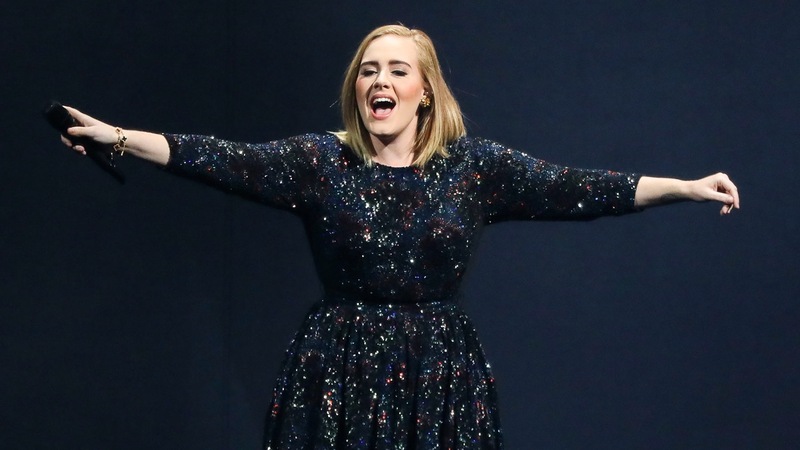 We’re used to hearing Adele sing about heartbreak, but if she’s basing new material on her current romantic situation, things are going to be a lot more upbeat from now on. The singer’s boyfriend and father of her 3-year-old son Angelo, Simon Konecki made a huge gesture to celebrate the couple’s fifth anniversary at her Nashville, Tennessee, concert this week. More: Is Cate Blanchett’s husband cheating on her, or is he just a wobbly drinker? Excited fans shared pictures of the notes on social media and expressed their own congratulations for the couple. That means we could be expecting a happy announcement shortly after Adele finishes her 107-date world tour in November.